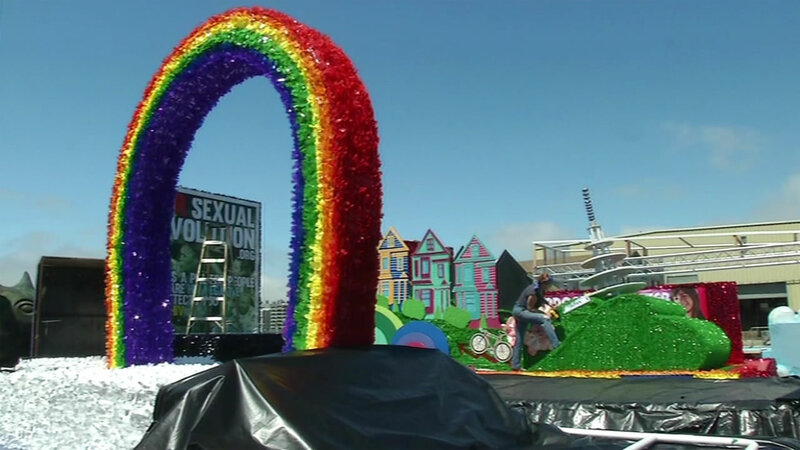 SAN FRANCISCO (KGO) -- Tens of thousands of people will head to San Francisco this weekend for America's largest Pride celebration, and police promise they'll have extra officers in place to keep everyone safe. Pride organizers say some of the floats in this year's parade will honor victims of the terror attack in Orlando. The parade starts at 10:30 a.m. Sunday. It will run along Market Street from Beale Street in the Financial District to 8th Street near Civic Center. On Friday night, San Francisco Mayor Ed Lee will participate in the Trans March celebration for LGBT Pride. More than 7,000 people are expected to attend the 12th annual march. Its mission is to inspire people to create a safe space for diverse communities. The Trans March starts at 6 p.m. on Dolores between 18th and 19th streets.